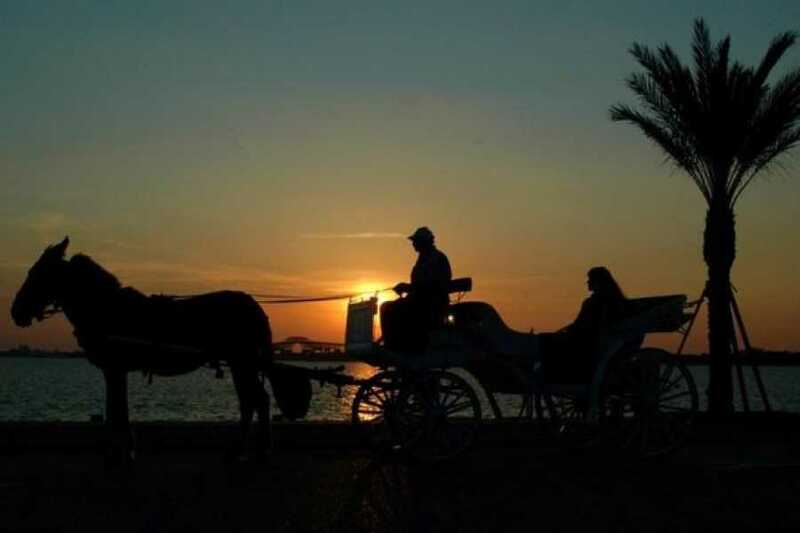 You'll be collected from your Aswan hotel in a private, air-conditioned vehicle for the short drive to the Nile Corniche, where your horse and carriage awaits. Accompanied by your private guide and friendly carriage driver, hop aboard your traditional horse and carriage and trot along the waterfront admiring the Nile. You'll have the chance to pose for pictures here. As you ride through Aswan city, your guide will point out key attractions until you arrive at Aswan Market. Your horse and carriage will wait while you navigate this vibrant bazaar with its mass of colorful stalls: your guide can help you bargain with stall-holders for classic Egyptian souvenirs. After about an hour at the market, you'll board your horse and carriage again, and return to the waterfront where you set off. Your private vehicle will drop you back at your hotel about 2.5 hours after you set out.